The easiest ever quick dessert and equally very delicious. 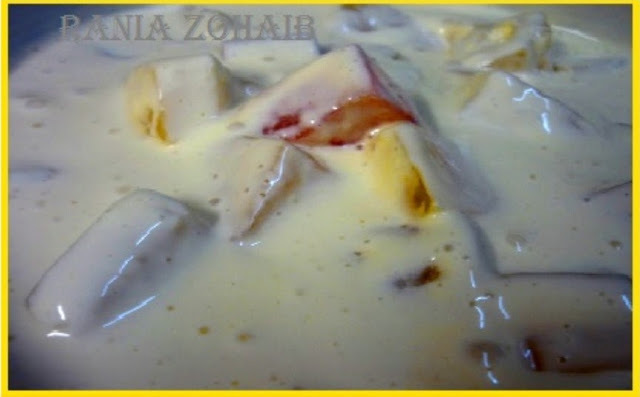 We always had a bowl of this very delicious cream throughout Ramadhan as it is so very soothing in Iftaar, the chilled taste is very refreshing! 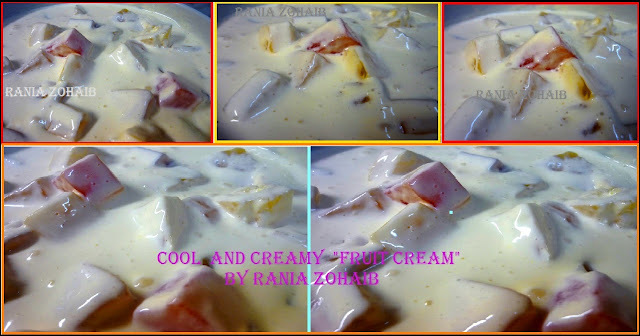 Almost everyone has tins of fruits and creams in store a very good substitute for Fruit Salad too. I have started making it with yoghurt, just mix in half quantity of yoghurt, this makes it light and we save some % of full fat too. 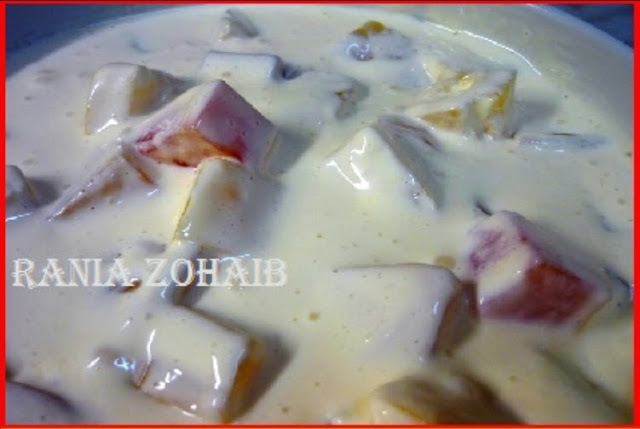 I have made it using quark too,(cheese curd) and it tastes good enough, just avoid adding all the juices of the can as this makes it very runny and you will not enjoy the real taste. Do you have to add yoghourt?